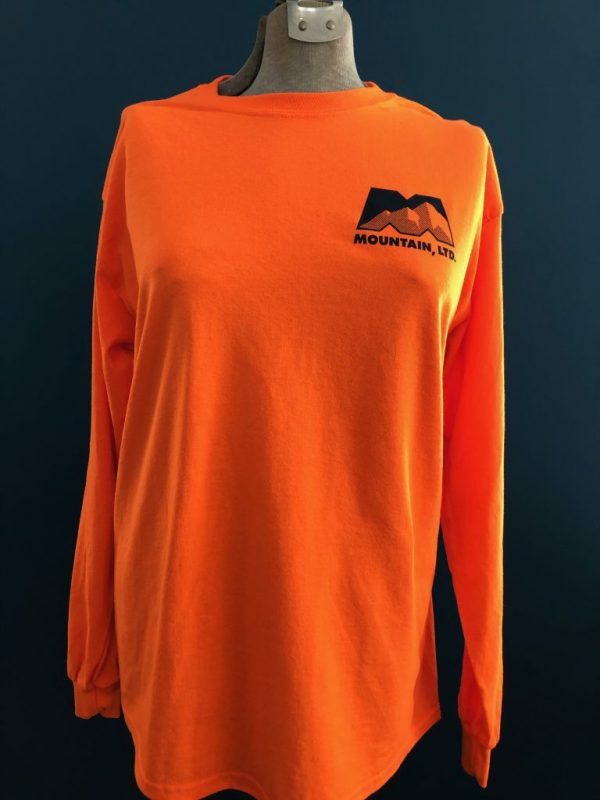 Fielder Shirt - MOUNTAIN, LTD. 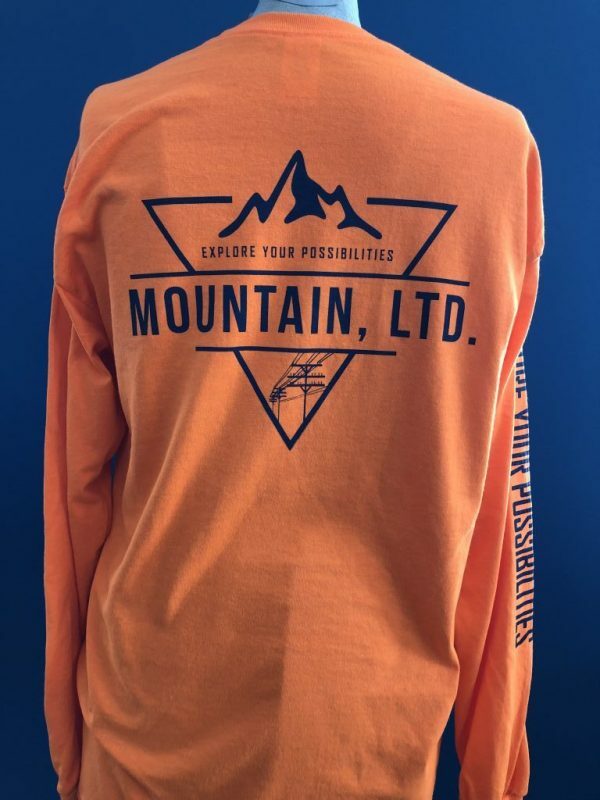 Custom designed long and short-sleeved shirts with navy blue screen print. Quality, rugged shirts were chosen specifically to endure outdoor conditions in order to last in the elements. 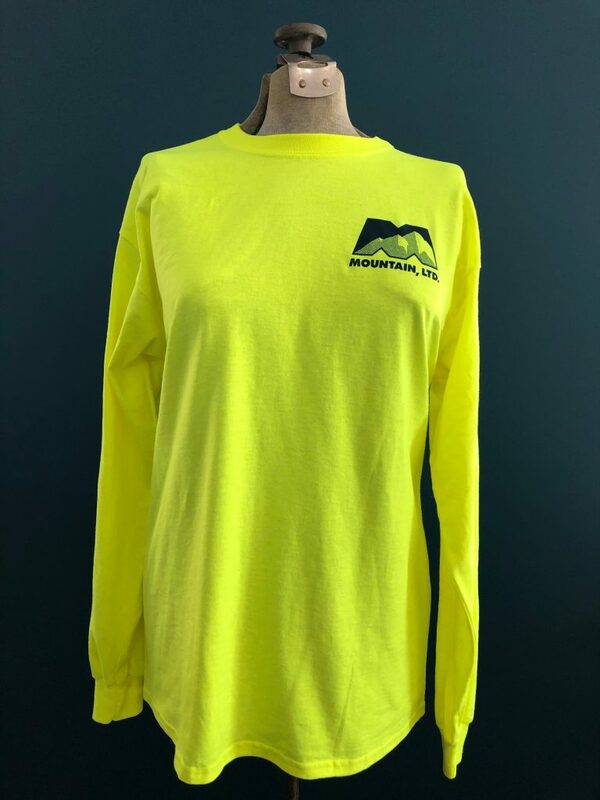 MOUNTAIN Long-Sleeve Fielder Shirt. 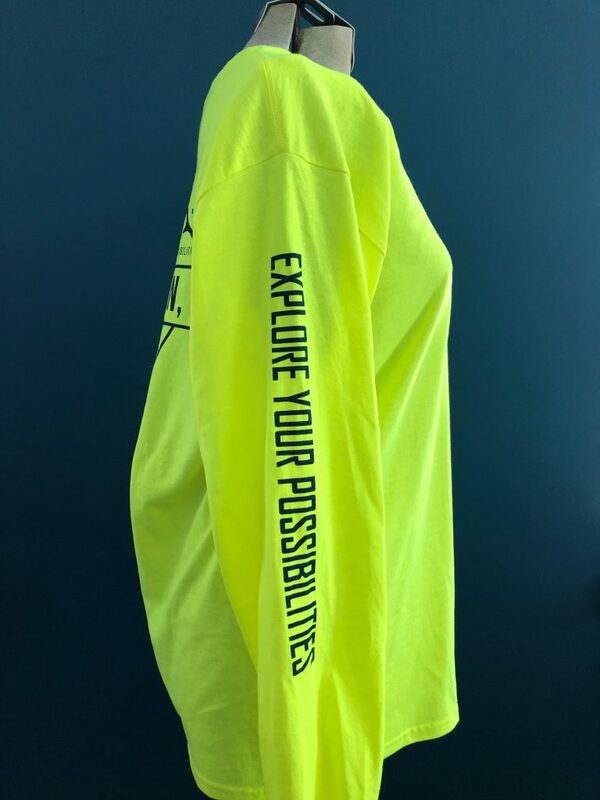 “Explore Your Possibilities” motto runs down the sleeve. Bright to be seen. Note – This does not replace a reflective safety vest in the field.